United Republican Party and The National Alliance are proposing to share the government down the middle in their pre-election agreement expected to be unveiled on Sunday, UK Daily Nation sources have said. Asked if only Kikuyus and Kalenjin are to share all of the Cabinet and Civil Service positions, what will happen to the rest of the communities, both Uhuru and Ruto dismissed the question as too presumptuous as to assume either cared if the outcome of their election is that all other tribes are locked out of power except the two they belong to. Ruto claims that he gathered more than 3,000 elders from the Rift Valley Province and after telling them what goodies he had for them and what more lay in store for them, the elders gave the United Republican Party leader the go-ahead to work with TNA. Asked whether this was not a flagrant effort and actually a shameless disrespecting of his community’s intelligence by lying to them the cases against him and Uhuru can be brought back to Kenya merely because the two are elected as president and deputy president, Mr. Ruto shrugged his shoulders and dared the reporter asking him the question if he can find one person among the 3000 who gave a hoot about the law or facts about PEV. “We have done a good job of synthesizing most of our supporters into believing our unparalleled importance and absolute right to vie and take up the presidency is more important than finding justice for PEV victims,” added Ruto, not even as blinking or hesitating to show any sign of concern about what he had just said. “We are sure of winning the next General Election in the first round. We have built our party (URP) attracting a large following from different parts of Kikuyu and Kaleland. TNA-URP alliance is meant to foster peace and development in the country of the kind anyone who doesn’t care about PEV victims or the implications of the serious charges we face can imagine,” said Ruto. On being asked why he opted out of the presidential race, Mr Ruto said he realized that he could not make it on his own. Pressed on why he at least couldn’t offer himself for the presidency even as others argue he is constitutionally barred from vying because of the serious crimes against humanity he faces, Ruto argued that it was almost impossible for him to get 50 per cent plus one votes all by himself, hence the alliance. Several reporters had to be resuscitated from the shock of hearing first hand such a blunt admission from a politician of this naked tribalism. At this point Ruto turned to talk to his assistant in Kalenjin the reporter is still trying to get a translation of what he said from the recording but everyone he has asked who knows the language can only laugh and say its not printable. Meanwhile, Ruto’s alleged partner in crimes against humanity, Uhuru Kenyatta, was busy consulting with his top brains for hire on how best and quickly to shred the freshly minted MOU the two claim is already signed in the unlikely event he is elected president. “Irimu ikenagira undu muru (a foolish person rejoices even over a bad thing), Uhuru was overheard saying of Ruto and his excitement he is about to play second fiddle to Uhuru against prevailing common sense that he doesn’t were he to remain politically relevant in Kenya but someone can also make an easy case this applies to Uhuru as well and his thumbing his nose on the whole country saying he must vie for president notwithstanding the serious crimes against humanity he faces that could actually find him convicted and locked up. In fact, this applies to both. The Standard Online is reporting that Eldoret North MP William Ruto has explained reasons why he turned down an offer by Prime Minister Raila Odinga to be his running mate. According to the Standard, Ruto complained of the PM’s abandonment and lack of concern for tribulations facing him, saying the PM called him for the first time in three years last month to ask him to back his presidential bid. “I was surprised and I kept asking myself whether he had run out of credit for the whole three years,” the Standard quotes Ruto as telling this to a meeting of elders in Eldoret Wednesday. Ruto said he put the PM to task for mistreating him and told him that he would not work with him politically, says the Standard. “I told him his payback time had come and he had to face the consequences of turning his back on an ally,” he added. Ruto said when the International Criminal Court indicted him over post-election violence, Raila never showed any empathy. “I expected that he would have even called to express his concern because he knew where we, as his lieutenants then, were at the time we are said to have perpetrated the violence,” he said. Ruto said Raila further allowed his party ODM to write letters pressing the international community to support and pursue the case against him and his co-accused at The Hague. “He never came to my defence or asked his people to stop doing what they were doing. This showed he wanted me finished,” he said. The PM will speak for himself as to these allegations by Ruto but, going by what is known publicly, Ruto is here at best engaged in the worst form of disingenuity at best and outright lying at worse. First, it’s simply not true that Raila abandoned Ruto; rather, the facts are it was Ruto who abandoned Raila and ODM for purely political reasons that had everything to do with his now obviously miscalculated and bone headed belief that he could topple Raila from the height of his political power or at least damage Raila enough to render him impotent in his efforts to succeed Kibaki. Put another way, back in 2007, Ruto did not join Raila and ODM until it was abundantly clear that Raila and ODM were set on sweeping the entire country, including Rift Valley. Having come in the last minute, Ruto reaped the greatest benefit from the half-loaf Raila and ODM got from the coalition government deal reached between Rail and Kibaki following PEV in that not only did he get appointed to a very significant Ministry of Agriculture, the entire Rift Valley region got more share of the half-loaf than any other in the country. In terms of what Raila could have done for Ruto and/or RV following the stolen elections of 2007, he actually did as best as anyone could have done and that is a truth no one can deny. Ruto therefore had no good reason to abandon Raila or ODM other than the pursuit of his own personal political ambitions which every indication is thus far he miscalculated and may as yet pay the ultimate price for such miscalculation and that’s being rendered politically irrelevant, if he doesn’t get locked up at the Hague. Yet, this is exactly what he did, namely, walk away from Raila and ODM for no good reason, or more precisely, for badly miscalculated reasons and now he is whining about the fact albeit disingenuously as he falsely claims it was Raila who abandoned him when that’s clearly and obviously not the case. Second, much as it’s false Raila did not abandon Ruto, it’s equally false that Raila did not show or has not shown any empathy with Ruto and his tribulations. Long before it was known who were the suspects most responsible for commission of crimes against humanity in Kenya during PEV, Raila led efforts to try and establish a local tribunal to try whoever the suspects were as recommended by the Waki Commission. This is because Ruto and those opposed to a local tribunal mistakenly believed then that the ICC process will take ages and changed tune only after realizing this was, in fact, not the case. Raila therefore had nothing to do with Ruto and other ICC suspects being hauled to the Hague and this now stale lie that he did must be laid down to rest for good. Yet, when Kibaki made it known early last year that the government would only pay legal fees for Uhuru, Muthaura and Ali, Raila and ODM strongly protested and said ODM will nonetheless provide and pay for Ruto, Kosgey and Sang’s legal fees in addition to their own. Addressing a press conference attended by 10 MPs at Parliament Buildings at that time, ODM Deputy Secretary-General Joseph ole Nkaissery and Parliamentary Group Secretary Ababu Namwamba announced that they have completed work on yet another proposed bill seeking to establish a local tribunal—again, evincing ODM’s commitment to ensuring justice for the victims of PEV, not hauling the ICC suspects to the Hague as they falsely claim. Although ODM Secretary General later appeared to contradict the views expressed by this group of MPs, this was more an issue of internal split as to how to proceed with the Ruto issue than a manifestation of non-caring with his plight. There is more but even going by this, it’s obvious neither Raila nor ODM has ever abandoned Ruto and neither is it the case that either or both have not been concerned about his tribulations. Having said that, however, it’s important to note despite Raila’s and ODM’s efforts to be of help to Ruto, he nonetheless chose the path of being a thorn in the flesh of Raila in the false hopes as noted above that he could topple or at least cripple Raila and ODM to the enemies of the latter’s benefit and therefore vicariously his benefit as well but all that boomeranged. Ruto cried for the razor he can’t now whine about it for any reason but is certain to cry like a baby when the cutting happens. Ironically, knowing fully well he has been trying the hardest to be a pain to Raila, Ruto now whines that Raila has not called him for the last three years; who would? Is it not classic humility and statesmanlike for Raila even after all of this to pick up the phone and call Ruto to try one last time and have Ruto get back to his senses and return to ODM he should never have left to begin with? Third, it is obviously false as Ruto claims that Raila has mistreated him. If anything, Raila has been very good to Ruto’s fortunes: he made him part of the Pentagon that propelled him to the height of political power, minimal as it may be; he appointed him to a key cabinet position soon after the formation of the coalition government; he bent over backwards to make sure the RV was more than proportionally represented in the cabinet and other appointments; when Raila called for Ruto’s suspension for corruption, this was not mistreating an ally but doing what was and always is the right thing to do if were are to end the culture of corruption and impunity. 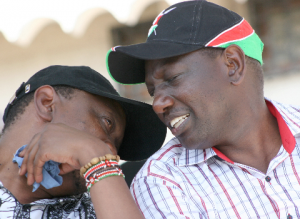 In sum, the reasons Ruto has given for not accepting Raila’s offer to return to ODM are bogus. The real reason is Ruto is beholden to Uhuru for the financial support he has been enjoying in their marriage and is concerned the price to pay in abandoning Uhuru for Raila is greater than doing otherwise. No one can blame him for that. The sad reality therefore becomes Ruto has come this far and high politically and this fast yet in no time, he must fade from the Kenyan political scene as a political point of influence or relevance. He will not be the first one to do so and what an epic ending to an otherwise promising political career had the man made the right decisions and choices. For those who may have missed it, the import of the blog Reflections From A Field Trip To Medical Clinics In Poor Communities of RV of Kenyais the question of poverty and the widening gap between the poor and the rich.I in particular posited in that blog that we should judge and decide on who to vote for based on their stand and/or proven record as to helping the needy or at least doing something about it besides promises of what they can do once elected.One would have to assume in the weeks ahead we shall see these records come to bear witness as to where these leaders stand on this critical issue but in Congratulations To PM Raila Odinga For Looking After The Education of Our Children I noted some of what Raila and our other First Lady Mama Ida are doing in their individual capacity to educate poor children. I am also happy to note the PM has reiterated his commitment to doing something about closing the gap between the poor and rich in pledging to set-up grants for the youth to start businesses once he is reelected as our next president as it has just been reported in Raila Pledges To Set-up Grants Kitty for Youth appearing in the Standard. It goes without saying the PM is once again providing solutions for our country’s myriad of problems when all his opponents are spending all their waking hours even in their dreams is trying to figure out how best to gang up against Raila and “stop” him from being reelected as president without offering any solution for any of our country’s problems. In their view, the country’s biggest problem is Raila crushing their individual or collective political ambitions, which is really a shame not because that should never be and cannot be a valid reason to oppose anyone for office, but because we have well informed and educated adults of voting age that support that shortsighted and outdated view of engaging in politics far removed from what really matters as far as our beloved country is concerned and that is, electing leadership with skills and ability to bring about progress and development, not merely advancing their narrow-minded and entirely selfish political ambitions. Most of us who visit home regularly from Diaspora rarely if at all find ourselves visiting other than our own villages, which is quite normal. The other day while visiting Kenya, however, I had occasion to go on a field trip with a senior official from the Ministry of Health that initially was to cover several community clinics in Naivasha, Nakuru and Elburgon but, due to unavoidable circumstances, this was scaled back to just visiting several clinics in Naivasha as we had to return to Nairobi. The whole exercise was intended to gather information directly from the care-providers with a view of improving their delivery of health services, including identifying enabling tools to make their critical clinics more modernized and efficient. Two things stuck to my mind from this field trip. First, the dedication and commitment of these basic care providers, who double up as owner/operators of these clinics. 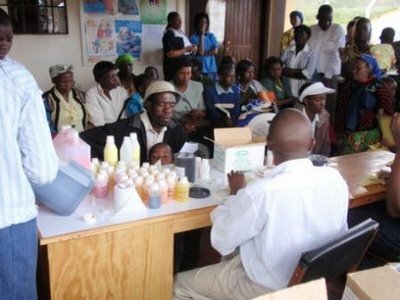 Every one of the owner/operators we visited showed a level of genuine desire to provide basic health-care and not one gave me the impression they were in for their own aggrandizement. Contrast that with the hawks we often have to deal with elsewhere with overstretched hands asking what’s in it for them and never mind what the business proposal is or how it would benefit the country. Second, just looking at the abject poverty surrounding many of these clinics was quite an experience for anyone to behold. There we were riding in our SUVs into these communities which basically are slums and as we are rolling by what somehow is a way meandering through these jam-packed residential areas, you could up close look and see the eyes of an impoverished child that says it all. And the first question that comes to mind and I loudly asked those riding with me, is why? Why in 2012 we can have this much poverty still devastating many an innocent child, let alone their adult families? In a way, this was a rhetorical question for we know the answer. The bigger question and one Kenyans must answer come 2013 is who really among those vying would be best placed at the top as president not only to change this culture of status quo on everything, but to really do something to make a dent in addressing the serious problem of rural and urban poverty. I know many of us are doing what we can to alleviate the poverty from an individual point of view but it’s obviously going to take a collective effort by both us as individuals and the government formulating and implementing policies that can finally seriously begin to tackle head on and eliminate or greatly reduce this devastating trio-problems of poverty, malnourishment and poor or lack of healthy living conditions. 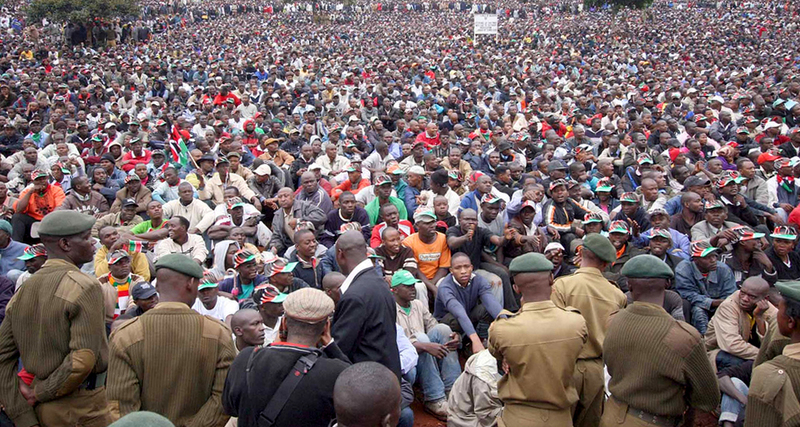 Rather than basing voting along tribal lines or alliances, Kenyans must focus on asking a fundamental question and that is, which among those seeking the top seat cares and has actually done something about alleviating these unacceptable living conditions and overall who has a proven record of catering to the needy and not the otherwise well to do. Casting a vote based on an honest answer of that question will for the first time give us a leader at the national level who can actually finally make a difference in the majority of our people’s lives who otherwise will remain languishing in the same poverty and poor living conditions. Let’s all reflect upon this and share and inform widely. It’s the day after Thanksgiving and having just returned from an overseas trip in time for this treasured family holiday, one would think rest and more rest and enjoying time with family should and must be the order of the day but there are so many flaws both in logic and facts in Peter Nguli’s article ODM Titanic: The Ship Sinks As The Captain Watches appearing in the Standard I have decided to take time and highlight several of them for the sake of at least keeping the record straight and also to help the unwary or passive followers of politics who may read this article and be confused to believe it’s on to something when that’s obviously not the case. This very assertion is an admission this is a misplaced metaphor: the metaphor would be appropriate only if examining ODM as a dead political party, not one thriving and by latest polls one that is still the party to beat and its leader the man to beat for the presidency. To his credit, though mistaken that its potency is over, Nguli at least recognizes the mightiness of ODM and in this limited sense, his analogy to the Titanic may be apt, namely, a mighty and magnificent ship except this one is sailing straight and shall dock at State House from upon which Raila will disembark to be sworn as our next president and everyone else in it (read all Kenyans) will be merry. All other analogizing of ODM to the Titanic is misplaced and, on this count alone, Nguli’s entire piece can be dismissed as fantasy writing wholly without any anchor in fact or sound analysis but not to outdo himself, Nguli has provided sufficient flawed logic and reasoning in the rest of his article to make that point, namely, that his is nothing based on fact or analysis but misplaced notions about sinking ships and parties that have nothing to do with each other. The Titanic needed only but one iceberg to sink it; were that not the case, we shall not here be talking about the sinking of the ship. Yet, in his flawed logic, Ngilu seems to think it would or could have taken several icebergs to sink the Titanic and from that flawed logic, he seems to suggest that somehow the ODM Titanic will sink because it has hit many icebergs. This is obviously flawed logic for it doesn’t matter how many or what size of debris, boulders or lesser obstacles in its path, a ship the size of the Titanic will plough right through them without even a single passenger feeling the impact and will dock safely at the end of the voyage. Ngilu’s metaphor on this also fails in another respect which is more fundamental and actually straightforward even for a lay observer and that is, he commits the classic fallacy many a person commits and that is saying something is so in the hopes some gullible or unwary reader or listener would believe it’s so. As is often said, saying something is so doesn’t make it so. It is one thing to posit the illogical proposition that ODM is sinking because it has “it has hit many icebergs” but it’s also quote another leap to expect people to buy the other side of the flawed proposition that ODM has “hit many icebergs” without telling the reader what these are and why they are fatalistic. 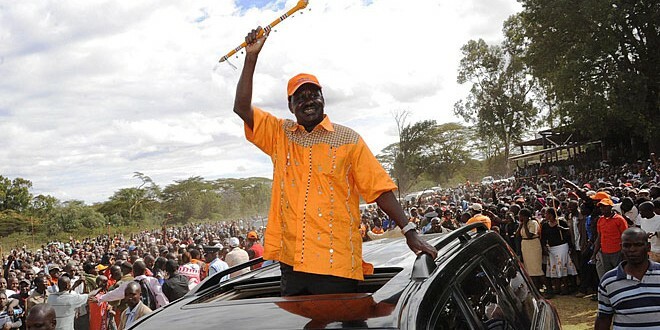 The fact is, ODM, like any giant party in an evolving young democracy, has had to face and deal with all manner of challenges but the test of a party’s strength or weakness is not how many or few of these challenges it faces but how the party deals with them with the ultimate measure of success or failure being performance at the polls. Judging from ODM’s very strong and impressive performance in all by-elections held since the last general elections, and more importantly given the party’s ability to have thus far stood strong in remaining the force it is despite unprecedented efforts to bury it by a combined force of virtually all political parties in the country, the betting type will put their money on ODM once again sweeping the country in victories come 2013 and see its flag bearer Raila Odinga reelected but this time sworn our country’s next president. Unlike the Captain of the Titanic who was basically helpless once the Titanic hit the iceberg, the Captain of ODM has been fully in control of the mighty and magnificent ship ODM contrary to what this Nguli says and in due time shall guide the ship to dock as he triumphantly disembarks to be rewarded the presidency for his good job not just in piloting the ship but much more he has done for our beloved country. In other words, contrary to Nguli’s bold lie, Captain Raila is not watching helplessly as the ODM ship sinks; no, not at all. He is, in fact, doing exactly what the Captain of such a mighty and magnificent ship ought to do and that is, to ensure save and steady sails of the ship along with its precious cargo and invaluable lives to her destination and for that, he shall be forever indebted by all those sailing along and more. Besides misstating and misusing a metaphor as above, this assertion is particularly flawed in that it’s neither supported by any facts nor any logical reasoning. Again, to be plausible, Nguli would have had to tell us here what “political icebergs” has ODM hit and show by even bare reasoning how that can conceivably be deemed to be fatalistic as to the fate of the ODM ship otherwise sailing quite predictably along to victory come March 4, 2013. Because he has failed to show either, namely, he has failed to show by fact or logic this impending sinking of ODM that must exist in his and like-minded imagination and nowhere else, his claim must be readily dismissed as just that, namely, an assertion based not on fact or reason but shear imagination. Again, this is simply a false assertion because the ODM Captain is not only in full control of the party and guiding it along to victory come 2013, he is doing so in what is characteristically the enigma he is. This Nguli appears to acknowledge Raila’s prowess in this regard, yet quickly forgets or feigns ignorance to accuse him of doing nothing to save this imagined sinking ship. He says, “Renowned West African novelist Chinua Achebe, would undoubtedly decscribe Raila Amollo Odinga, the captain of ODM Titanic, as Amalize the cat with nine lives and whose political back never touches the ground. He says, Achebe, in his Things Fall Apart, would probably describe Raila as Okonkwo who was known throughout the nine villages of Umuofia but ruled his household with an iron fist. It’s readily obvious this is Nguli’s attempt to use Achebe—or more accurately, to misuse Achebe and his classic novel to lay the foundation for the attack that follows but only the most gullible and least informed can buy such nonsense which has been peddled before by the likes of Mudavadi, Ruto and others but all have all failed to impact Raila for one reason: some lies are just not that easy to peddle especially when they fly in the fact of glaring facts. This is mere confirmation this Ngilu is simply imagining things and making some as he plows down this illogical path. Raila is nowhere “re-launching his campaign strategy” and if this Nguli knows something even Raila himself doesn’t know about his campaign strategy, then he should tell us so and see if that reduces the speed with which we dismiss him as one engaged in fantasy writing. Officially launching one’s presidential campaign, which is what this Nguli must be referring to is not “re-launching” one’s campaign strategy. It’s not only false that Raila has made “SOS offers” that has been “declined” by the so-called G7 alliance, to so characterize Raila’s outreach to other political parties which is no different from that being made by those parties to him and others betrays this Nguli’s true motivation in penning this peace and that is to paint a picture he sees or wishes to be but one not supported by neither fact nor logic all likely because he as many others simply doesn’t like Awambo and where his ship is headed: State House. This is needless to say a repeat of the same false assertion made above and must be dismissed for the same reasons stated above, namely, Raila has not made any “SOS” appeal to any of the other leading politicians any different than they have made and continue to make to him. It’s called politics and one has to be extremely naïve not to know all of these politicians will and are actively making offers and counter-offers to one another to advance their political interests—be it publicly or privately and to somehow try to make it appear as if it’s Raila only engaging in this normal political activity is the height of that naiveteb or willful ignorance as clearly can be deduced from this assertion by Nguli. This is another mouthful one can dissect and show its total lack of factual basis or logic but let’s just leave it coming from someone who is obviously clueless as to what type of communication is taking place between Raila and folks in RV or what response he is enjoying beyond what is publicly observable, the proof shall be in the pudding what these naysayers say notwithstanding as it’s totally irrelevant and not even part of the equation as there is classic wishful thinking. Again, an assertion coming from someone like this who is obviously clueless as to what talks are going on between who and who, where and when other than what they probably read in the media if not being ill-informed by bar-gossipers, it would be prudent to let those play out and when it’s all said and done, it shall come to pass as to who is aligned to who, keeping in mind titans like Raila really need not anyone other than their strong coalition remaining strong to march to State House. H says, Just like some passengers of Titanic started to play piano and Saxophone tunes as the ship sunk, the former passengers of ODM Titanic have started playing songs of consolation from political arena advising the PM that he should consider retirement, leave the ship sink gracefully and go and try fish farming at Bondo. This is now too bad a misuse of a metaphor that now borders on the criminal. A metaphor can be tortured to death for no good reason and it’s obvious this is where we are headed with this. Nguli says, “While this political cat captain with nine lives has learnt the art of political survival under harsh harmattan political climate, the sun seems to be setting for the liberator and ‘reformer’ of the common man as the ship sinks. Unfortunately, there is no time left and the waters are ice cold as political passengers start falling one by one into cold the waters and swimming on their own looking for life-saving boats when the ship is half way sunk. An assertion like this could easily win hands down as imaginary prose far removed from facts and reality and totally devoid of any logic but it’s not clear whether this is what this Nguli intended for this assertion to be so we shall let it crash under its own weight of total irrelevance and uselessness as a political assertion. Suddenly, just as Titanic captain Smith started shooting his annoying passengers with a pistol instead of listening to them, the Captain of ODM Titanic stops listening to his political passengers’ grievances and starts shooting them with his dictatorial tendencies. As noted above, others have tried but failed this line of attack on Raila that he is dictatorial so too will this Nguli and whoever else naively believes merely saying things makes them so and more so those who are so naïve as to believe they can repeat a lie often enough to be believed but some lies as just too obvious as not to be believed, merely repeating them is laughable as in this case. While he has fought strongly for democratic freedoms and liberty for all Kenyans, the ODM Titanic captain seems to have played the political chessboard wrongly this time round and at times placing the cart before the horse long before his doomed political voyage in his luxurious Hummer ship model liner. There is no better political survivor, strategist and leader in Kenya than one Raila Amolo Odinga. Ever since he became Kenya’s second premier since independence, Raila has made more political foes than friends in his ODM Titanic. This is another lie we have seen being propagated by those who desperately wish people to believe their imagined tales but the reality is it’s simply not true that Raila has “made more political foes than friends in his ODM” it’s a shame someone would actually state such a falsehood with such finality and almost as a matter of fact. Now that the famous ship is sinking, it’s everyone for himself and God for us all. The “famous ship” is sinking only in the minds of those who think it is. The ship has now sunk three quarters but there are no enough life boats. It’s time to lower the few life boats onboard. The first boat to be lowered is to be rowed by a new captain, the Rift Valley King-maker, William Ruto who escapes into the sea with a considerable number of voters from the rich-vote Rift Valley Ocean. Soon, other boats are lowered and their captains include Musalia Mudavadi and Najib Balala who both escape with voters in different boats into the deep seas. Suddenly, ODM Titanic captain’s SOS signals are heard by one good Samaritan sailor in a boat nearby and as recent media reports indicate, the captain of the boat, VP Kalonzo Musyoka is almost about to rescue ODM Titanic captain but the VP suddenly changes his mind and instead of rescuing the ODM Titanic captain, he rows his boat to catch that of his speeding neighbour Musalia Mudavadi. Kalonzo abandons his own boat and jumps in Musalia’s boat and leaves the ODM Titanic to sink on its own. As this happens, the political life boats then return to rescue more political passengers swimming in cold waters of the North Atlantic. More MP passengers are rescued from the sinking ODM Titanic. As the ship sinks deeper and deeper, it hits more political icebergs. Rescued passengers include Charity Ngilu, a political Ukambani Ocean captain, Rachel Shebesh and Bomet Ocean captain, Beatrice Kones. Other passengers continue to jump from ODM Titanic in order to safe their political life, predominantly those from Rift Valley Ocean as the ODM Titanic ship sinks together with its captain. In 2013, mourners in a replica Titanic II visit the scene in remembrance to commemorate the sinking of ODM Titanic with flowers and placards reading ‘ R.I.P., ODM Titanic’! Never interrupt someone in the middle of a dream—good or bad, self-serving or utilitarian—just let them dream on as we must with this now turned dreamer Nguli from merely badly misusing metaphors, to abusing and assaulting them to now having bad dreams about Raila and ODM. The truth shall come to pass and it won’t be anything as close to what your dream is but I suppose you’re not alone in this dreaming. Going by known facts, history and the resilience of our Kenyan people, they shall one more time say one man tosha and that’s unfortunately for you and other naysayers none other than Raila Odinga. I suggest you start practicing or get ready to hearing quit a bit of those majestic words I have been urging others to and these are simply, His Excellency President Raila Amolo Odinga. 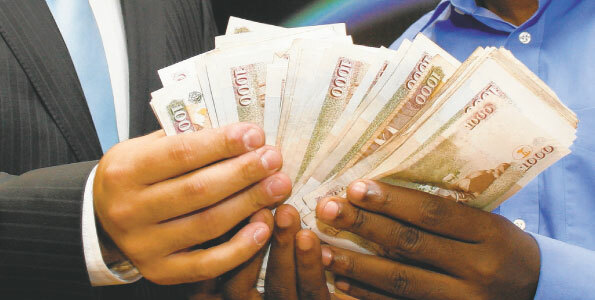 Will Kenyans Be Gorverned From The Hague? In Will Kenyans Be Governed From The Hague? published in the Star, I analyze the meaning of the ICC cases in the Kenyan political context and note how unprecedented and impractical it would be to have a president and even a president and his deputy spending months at the Hague defending themselves–an outcome that should never be if we are to move our country forward. I in the meantime also conclude the only solution that can bring a close to this dark saga in our country is to bring the cases home and set up a mechanism for the suspects to be tried in a civil proceeding and if found liable, to pay a civil penalty for the benefit of the victims. I come to this conclusion because it’s my view none of these suspects will ever be convicted, let alone see the inside of jail for the serious crimes they stand charged. In any mature democracy, such charges, especially when the indictment is handed down by a global court would not be compatible with holding high office. It is taken for granted, that you can either be president, or you can face charges at the ICC – but not both. The reality of it is, and the sooner everyone comes to grips with this the better, it’s unlikely anyone will ever be found guilty, let alone be hanged or sent to prison for a long time. Indeed, of the remaining four suspects, only Uhuru and Muthaura stand a remote chance of being convicted but even they, will likely walk free just as Ruto and Sang will. Given this fact, it would be more meaningful and a sense of justice and closure for the PEV victims if the aforementioned three conditions for bringing the cases back home are met, we have the cases tried at home and, in the event the suspects are not found guilty of the criminal charges they are charged with, they can still be subjected to trial for civil liability where punishment shall be monetary compensation of the victims, not going to jail—punishment any of them would be happy to pay in lieu of going to jail. Granted, special laws have to be passed to make this happen but that’s a far much better proposition than what they face now where they all could walk and the victims are left with nothing. More importantly, imposition of a civil penalty in lieu of criminal sanction will be the best way to end this national nightmare everything considered and right now we need closure more than anything else as we head into electioneering period. It is illegal under American law for a presidential candidate—and candidates for other federal offices as well to receive donations from outside the United States. Apparently someone in Kenya doesn’t know that or know but pretend they don’t for I learned today from a reliable source that apparently someone or a group of individuals recently decided to pump a lot of money into the Mitt Romney campaign. The logic: If Mitt Romney wins, he will see to it that Raila is not elected as payback to his “cousin” Obama. First, it clearly shows to what extent the anti-Raila forces are desperate now that it’s even more clear Raila is on an unstoppable winning path. I have blogged before that those bent on “stopping” Raila from being reelected as president would say or do almost anything to achieve that now elusive goal. However, I didn’t think breaking other countries’ laws was in that equation but apparently it is—unless they feign ignorance of the law, which is no excuse anyway. Second, it’s simply amazing and one can only shake their head in disbelief how these anti-Railaists and those bent on “stopping” Raila from being reelected have absolutely neither principle nor substance to run on other than this notion they simply don’t want Raila to be reelected as president. To now hope that Mitt Romney, of all people, would help them in their scheme to “stop” Raila is actually a matter of concern as we may be dealing with individuals who may have lost it mind-wise and we are therefore basically dealing with loose cannons capable of exploding anytime to everyone’s harm. The only consolation is ICC was not mentioned as a factor or reason for these geniuses to contribute to Romeny, namely, the money was not contributed in the hopes Romney can win and help there, which neither he nor any other president other than the president of Kenya can be of any help, anyway. News flash: Mitt Romney will not be elected as president of the United States thanks to his doomed candidacy and a life-line thrown to Obama by the name Hurricane Sandy now all but assuring him victory tomorrow, which means these schemers have basically wasted their money donated to Romney—well, the public’s money as hardly any of it is theirs having stolen or otherwise inappropriately siphoned it from the public purse. Finally, even if Mitt Romney were to be miraculously elected president, there is nothing he could do to stop Raila from being reelected but this time sworn as our fourth president if the people maintain he is still the best man for the job as every indication is they still do and will through Election Day.